MANILA, Philippines — Although he admitted being “very sad” with the Philippines’ pullout from the International Criminal Court (ICC), Harry Roque, former spokesperson of President Rodrigo Duterte, insisted that the decision of his erstwhile principal was correct. 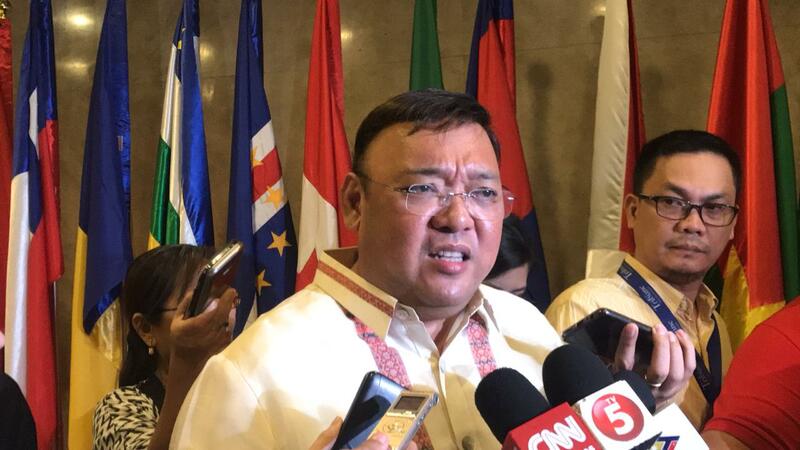 “Personally, I am very sad with the decision,” Roque said before members of the diplomatic corps and leading legal personalities during the kick-off ceremony of the 7th Biennial Conference of the Asian Society of International Law in the Department of Foreign Affairs office. “Personal feelings aside, the President did make the correct decision to withdraw. Why? Obviously, the ICC was never intended to be a court of first resort,” he said. Complementarity is a law principle that states that there will no overlapping in jurisdictions. Duterte’s former official mouthpiece also said that local courts are still functioning. “It is only when local courts are unable and unwilling to invest the most horrendous crimes committed against the international community that the ICC should take and exercise jurisdiction,” he argued. The Philippines officially pulled out of the ICC on Sunday. The ICC has launched a “preliminary examination” of the accusations against Duterte on crimes against humanity in February 2018 following a review of a number of communications and reports documenting the alleged crimes. After a month, Duterte announced the country’s withdrawal from the Rome Statute.